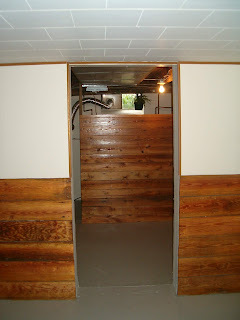 My husband Bill worked tirelessly to put barn wood up on the bottom half of the west side of our two-room basement - he garnered the wood from an old barn, brought it home in his truck, de-nailed it, planed it, and put it on the wall. The photo above shows the old paneling in the ping pong room, looking east into the other half of the basement. 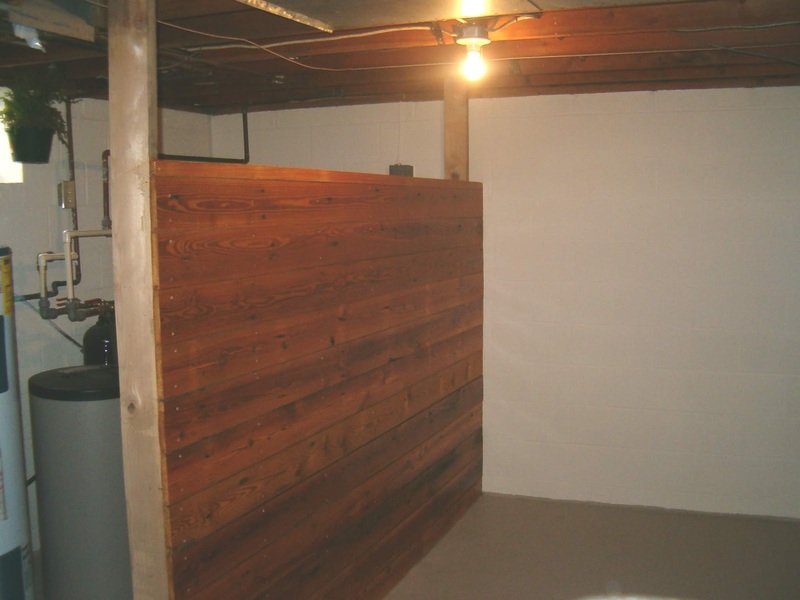 Once the barn wood was installed in the ping pong room, it was time for a less strenuous project, so we opted to put a partition wall in the other room of the basement, using wood left over from the wall project. The new wall hides the utilities - the water softener and the hot water tank, etc. The basement has gone through many changes. 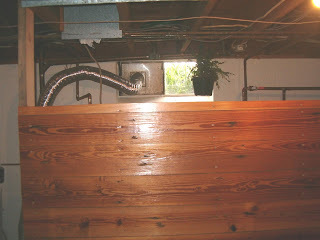 The photo above represents how the basement looks at this writing. The partition wall looks fabulous - a vast improvement over the view before we installed that wall. 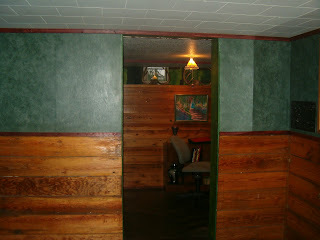 And, oh, did I mention that this half-wall holds a secret? Ah! Storage!! We thought to add storage to the back of that wall. Whoo hoo! Storage!!!! 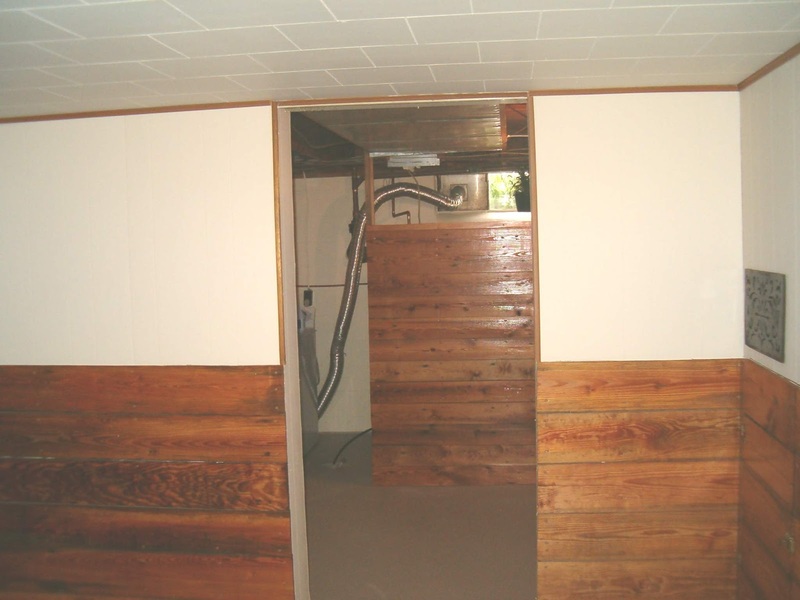 PS: Look for this area of the basement in future posts; I hope to share the different stages in the development of the east room of the basement. 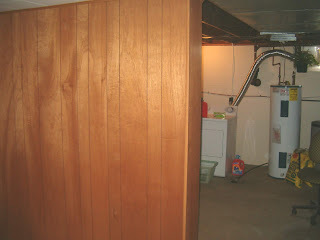 I'll give you a hint: I now refer to that half of the basement as 'my sewing room. Is that another computer room down there? Nice storage 'secret' hidden from view. Great work, great Bill! Kudos. Storage places are so valuable! This woodworking book contains a great deal of details about wood working. The book also shows several designs and explanations on the materials useful for different woodworking processes and the directions on completing different processes properly. 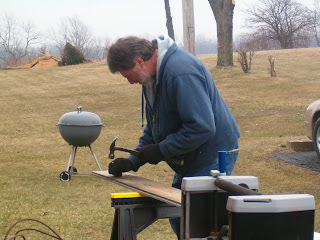 In other words, I`m happy using this book, specially in the procedure of understading about wood working.? A New Door? No Problem!! !